Chris Bosh, 34, and his mother, Frieda, have a complicated relationship. In October 2017, Bosh reportedly tried to have his mother evicted from the DeSoto, Texas, house that she claims they built together. In December of that same year, Frieda was arrested for allowing a drug ring to be run out of the house where she lived. According to reports, cocaine and heroin were being sold by a man, Johnathan Brown, who is accused of forcing a handicapped man, who was also staying in the Bosh home, to assist with drug sales. Both Frieda and Brown were arrested on charges of exploitation of a disabled person, police told the Dallas News. Now the former NBA star is being sued by Frieda after she claims he reneged on his promise to always take care of her. According to the New York Post, Frieda claims that in 2005 her son had her sign papers relating to the deed. Believing that the papers were about the divorce from her husband and Bosh’s father, Noel, Frieda signed them. Frieda claims that in return for her signing the papers, Bosh promised to provide for his mom for the rest of her life. Frieda claims that in August 2017 she learned the hard truth—that she was no longer the owner of her home—and alleges that the document she signed in 2005 was manipulated to give ownership of the home solely to Bosh. “Freida is seeking unspecified damages, alleging Bosh has continuously tried to evict her. Bosh denies all allegations, requesting the case be tossed out,” the Post reports. 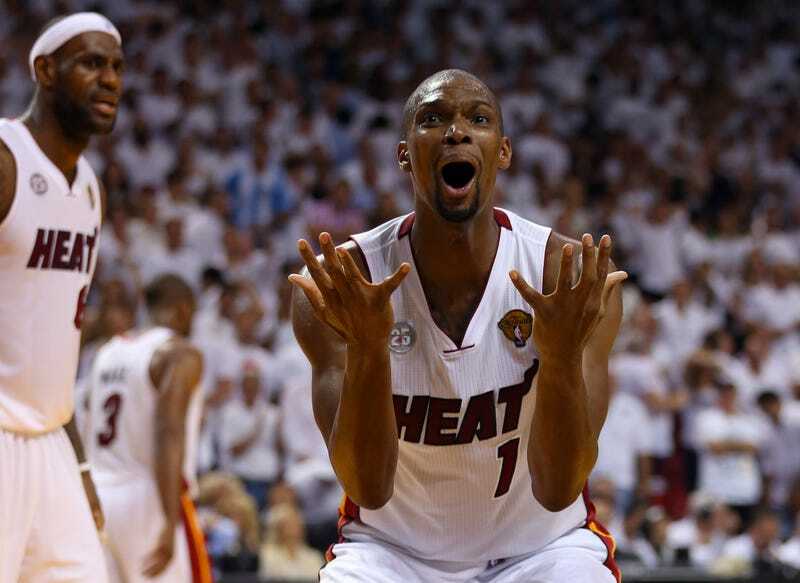 Bosh had a promising NBA career that was cut short when team doctors discovered that he had blood clots in his legs.